Leading Japanese electronics manufacturer, TDK has announced that it will be collaborating with automotive manufacturers to develop a wireless charging system for electric vehicles. The goal is to make cable-free charging commercially viable by 2021 thus making electric vehicles a more attractive option for consumers. TDK is working on a system that would send electricity wirelessly by using electromagnetic induction between an underground transmission coil and a coil within the vehicle that would receive the electricity. The basic technology for the system has been developed by a US startup company called WiTricity, and it will also integrate some of TDK’s proprietary technologies, like an electromagnetic noise filter. TDK has already formed a 70-member development team which will work on commercialization of the system. The company is targeting shipments of around 50,000 wireless charging systems in 2020. One of the main barriers to large scale adoption of electric vehicles is the limited number of charging facilities. When TDK’s system becomes widely available, it would be easier to convert parking stations into charging stations. Another Japanese company which has been working on the development of wireless charging systems is Toyota, which has been testing such a system from 2014. Other automotive manufacturers like Honda are developing their own variants while Robert Bosch, Intel, Volkswagen and BMW have also been conducting research into different charging options for electric vehicles. 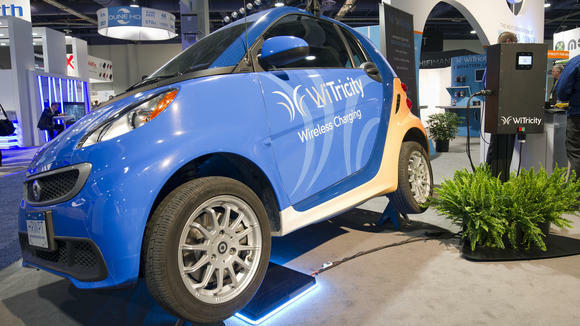 The technology is unlikely however to gain public acceptance if there is lack of compatibility between different wireless charging systems and vehicle models. Hence, automakers and parts manufacturers around the world should find common ground with regard to standardization of specifications. In the event that they succeed, by the end of this decade, such wireless charging systems should become commercially viable.